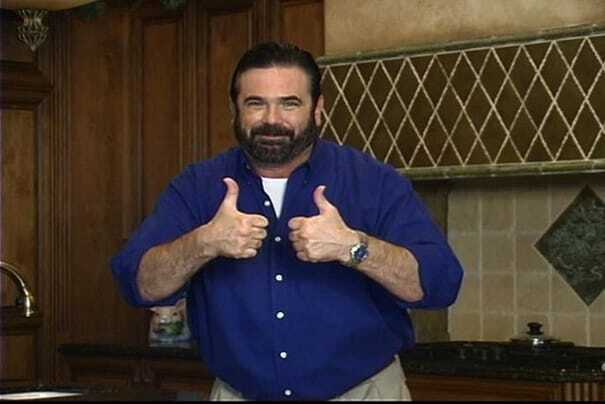 It's been a year since your favorite pitchman's favorite pitchman Billy Mays passed and, amazingly, the world is still rotating on its axis, even without the help of a mass-produced plastic thingy (just $19.95!) to keep it moving. Ok, so maybe sarcasm isn't the classiest way to honor the dead, but a) we ain't classy, and b) we truly miss Billy. Whether playing hooky on a rainy day or up too late and too blazed to change the channel, big BM soothed our boredom with his booming baritone and absolutely gratuitous gesticulations. R.I.P! So as we move on in a world without Billy, we're still working hard to keep his memory alive with a guide to his awesomest fantastical pitches and products. Click on for clips of his greatest moments, and rest assured that St. Peter and the rest of the gang up there are fully kitted out with the right useless gadgets to make their (after) lives just a little easier.